BeaconLight Home Inspection is a premier full service home inspection company based in Boston, Massachusetts. We service throughout Greater Boston, Eastern, and Central Massachusetts. BeaconLight Home Inspection specializes in comprehensive and educational home inspections. We are dedicated to providing you with valuable information about your home. We thoroughly inspect all major components of the property to inform you of potentially unknown defects and advise you about repairs and future maintenance for your home once the purchase is complete. BeaconLight Home Inspection provides the highest quality, most detailed inspections in our field. We are committed to excellence, and provide a detailed, step by step inspection to provide you with the comprehensive information you need for your investment. Buying a new home may be the biggest investment you’ll ever make. Having your new home professionally inspected by BeaconLight Home Inspection can allow you a peace of mind that you are making an informed and educated decision. Once you are a BeaconLight client, we are your building consultant for life as long as you own the property we have inspected for you! BeaconLight prides ourselves for the relationships we build and the accessibility we have to our clients. We are available to you for any questions and inquiries you may have about your home for life. Phil has been providing high quality and comprehensive home inspections for clients since 2012. Since the start of his career, he has performed thousands of inspections throughout Massachusetts. Phil is also a Fire Lieutenant on the Newton Fire Department where he has been a member since 2002. He enjoys helping people make educated and informed real estate decisions. In January of 2018, Phil formed BeaconLight Home Inspection. 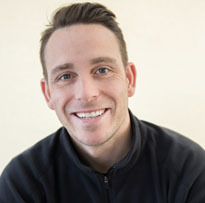 Anthony has been a licensed Massachusetts Home Inspector since 2014. Anthony is also a licensed electrician since 2007 and a Firefighter for the City of Newton where he has been a member since 2009. He enjoys providing each client with a thorough inspection that not only is informative but educational. 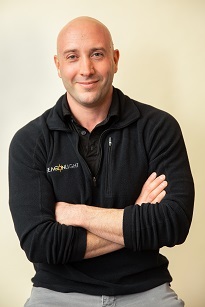 Anthony grew up in the MetroWest area and is a current resident in Natick, MA with his wife and two children. 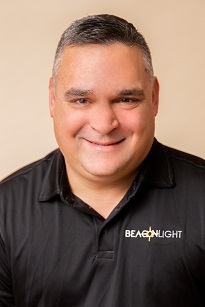 John joined BeaconLight Home Inspection in June of 2018. He has performed over 3000 quality home inspections throughout Massachusetts and Rhode Island since 2005. He holds a B.S from Northeastern University. In addition to inspecting homes, John has been a Firefighter in Boston for over 20 years. He enjoys educating clients on their prospective new homes so they can make an informed decision.